Do you know what you applying on your face? Started talking about makeup…as you do…and she complained she has dry, flaky skin so she can’t use mineral powder. She blamed it on the harsh Perth weather and dehydration. So I asked her what makeup she’s using now and she said it’s a BB cream which you apply using a sponge and it’s addictive and feels really good on the skin. I won’t name the brand as this post is not about bad mouthing any brands. Out of curiosity, I googled the product to find the ingredients and reviews and immediately alarm bells went off. Review 2 – “When I first put it on my face, I was really satisfied with the glowing effect of it. Beauty Balm? I don’t think so. Needless to say, these ladies have just wasted $45 on a product that they cannot use. It’s sad when we hear stories like that everyday. It’s like paying someone $50 to poison you. 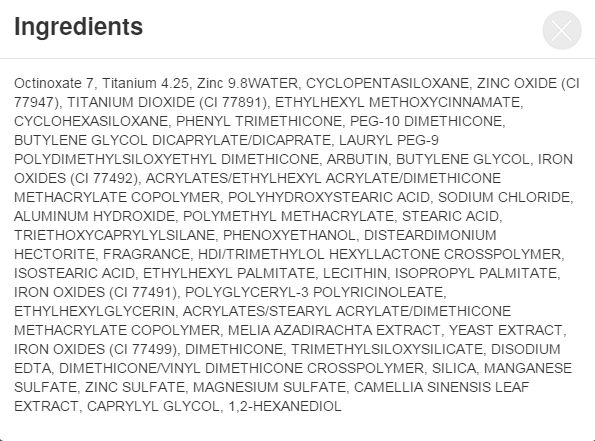 To save a lot of pain and $$$, always read the ingredients list first and decide if you want to put that much chemicals on your face and take the risk. If your skin is breaking out, dry, flaky, red, blotchy with mysterious looking bumps, always read the ingredients of any new foundation, face cream or cleansers you are using and look out for nasty chemicals that may be the cause. Don’t just boil it down to diet or dehydration. Posted in MOMMA Makeup Blog and tagged bb cream, chemical free.